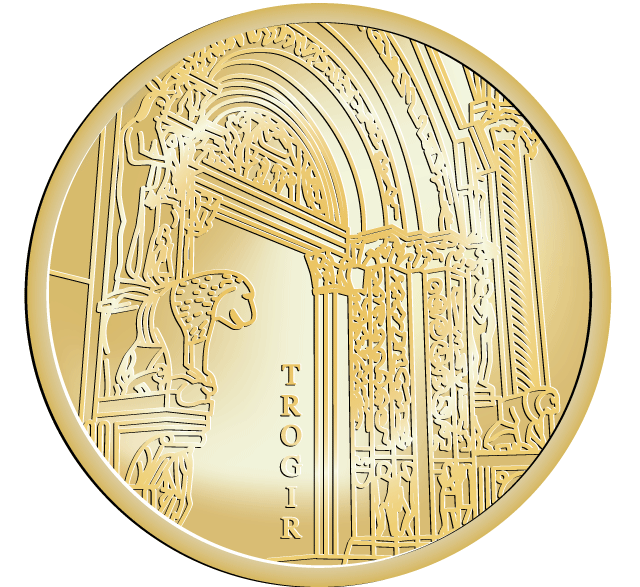 Radovan’s portal is the main portal of the cathedral of St. Lawrence in Trogir. The most significant medieval portal on the eastern Adriatic, and in this part of Europe. It was named after its author master Radovan who carved it in 1240th and signed with the per Raduanum, although not completed until the 14th century. The portal is the most monumental work of Romanesque-Gothic style in Croatia. Includes The Original Sin (Adam and Eve) and Redemption (Nativity), the Christological cycle, some saints and apostles, month, hunting scenes, and summarizes the different stylistic traditions from the French to Southern Italic. Artisticaly it is one of Europe’s best achievements of this era. 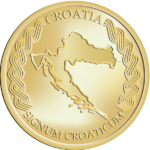 Coin is available at Split Airport and together with coin SPLIT – HNK Hajduk.